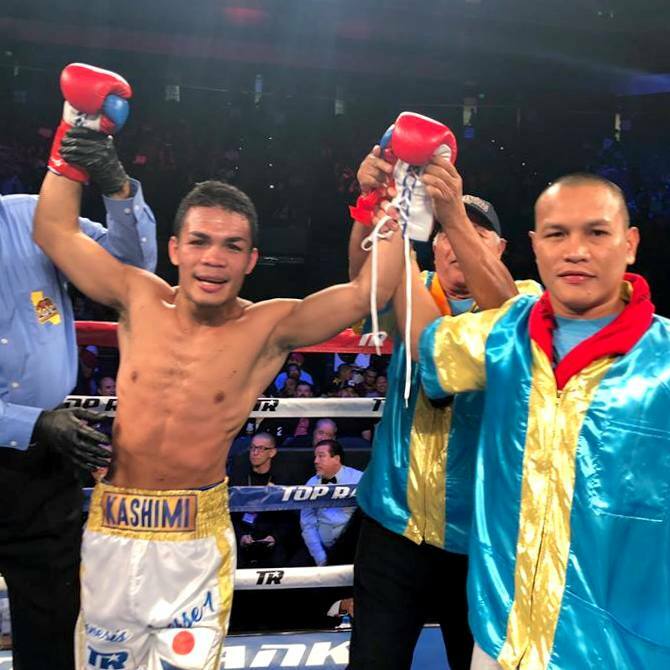 Genesis ‘Kimishi’ Servania of Bacolod City knocked out Mexican boxer Carlos ‘Memin’ Carlson in the third round of their undercard bout at the Oracle Arena in Oakland, California over the weekend. The fight was part of the Jerwin Ancajas-Alejandro Santiago Barrios International Boxing Federation super flyweight title fight. After exchanging blows in the first two rounds, Servania managed to land a solid right in the third, which sent Carlson to the canvas.